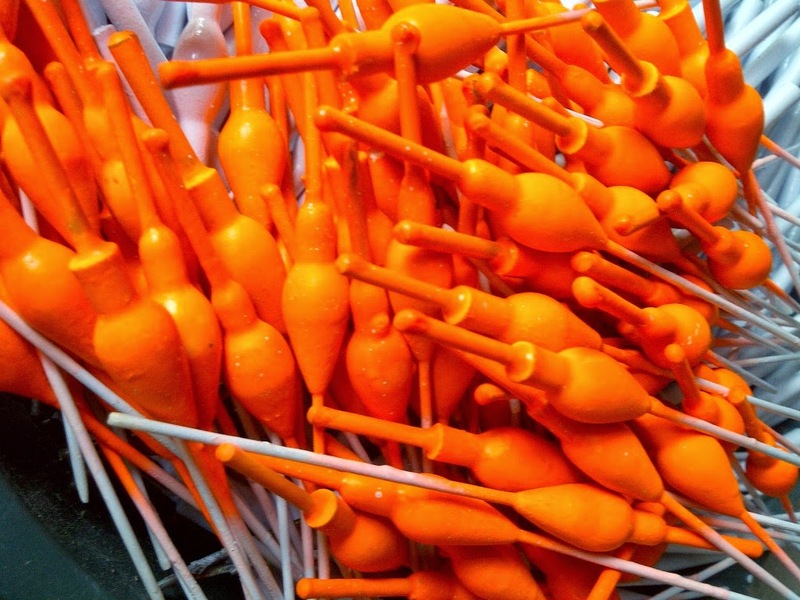 The G·Loomis Popping Rods were originally designed for casting live shrimp under a popping cork out on the flats, but freshwater anglers have gotten ahold of them and found umpteen other ways to use them as well. 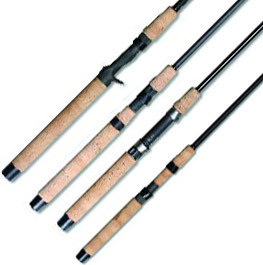 These rods have a relatively soft tip which allows your bait to land quietly, even on long casts. At the same time, they're surprisingly powerful rods, capable of handling large fish-including that occasional surprise tarpon or oversize snook. They come in a variety of lengths for different applications, including spoons, bucktails, surface lures, tubes, grubs and live bait. Bass and walleye anglers tell us they prefer the Popping Rods' softer action for a number of situations, especially fishing crankbaits. Each rod features a cork handle with a 9" rear grip offset approximately 12 degrees to minimize wrist fatigue and improve casting control. The reel seat features blank-thru-handle construction, with a one-inch cutaway in front of the trigger that we call "mag-touch." By exposing the blank in this spot, your index finger makes direct contact with the blank giving you even greater sensitivity. Oversized guides allow plenty of room for big knots and heavy shock tippets. Our popping rods were originally designed for casting LIVE BAIT (mainly shrimp), under a popping cork out on the flats, but freshwater anglers have found umpteen other uses for them as well. These rods have a relatively soft tip, which allows your bait to land softly and QUIETLY, even on long casts, another plus when the water's skinny and the fish spook easily. At the same time, they're powerful rods, capable of handling surprisingly large fish. They come in a variety of lengths for different applications. The top four guides and tip-top feature oversized rings to handle large knots for shock tippets. Our popping rods were originally designed for casting LIVE BAIT (mainly shrimp), under a popping cork out on the flats, but freshwater anglers have found umpteen other uses for them as well. These rods have a relatively soft tip, which allows your bait to land softly and QUIETLY, even on long casts, another plus when the water's skinny and the fish spook easily. At the same time, they're powerful rods, capable of handling surprisingly large fish. They come in a variety of lengths for different applications. The top four guides and tip-top feature oversized rings to handle large knots for shock tippets. Our popping rods were originally designed for casting LIVE BAIT (mainly shrimp), under a popping cork out on the flats, but freshwater anglers have found umpteen other uses for them as well. These rods have a relatively soft tip, which allows your bait to land softly and QUIETLY, even on long casts, another plus when the water's skinny and the fish spook easily. At the same time, they're powerful rods, capable of handling surprisingly large fish. They come in a variety of lengths for different applications. The top four guides and tip-top feature oversized rings to handle large knots for shock tippets.